A composite resin is a tooth colored dental material used to fill in cavities as an alternative to metal amalgams. It is also used for composite bonding, a procedure in which the resin is shaped and molded to your teeth. Composite bonding is often used to repair chipped teeth or close spaces between the teeth. There are many advantages of using composite resins instead of traditional amalgams. Not only is this tooth colored material aesthetically pleasing, but it is also non-toxic, unlike the metal amalgams which contain mercury. Composite resins or bonding may not be the solution for all dental patients. It is typically for patients who are in need of a cosmetic treatment but their teeth are healthy otherwise. 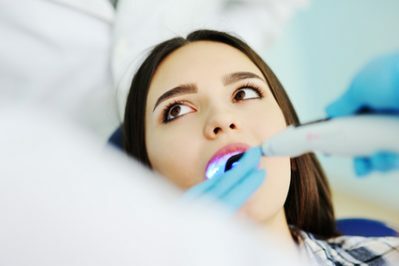 For example, if your smile is crooked due to a misaligned bite, you may need to seek a different treatment than composite bonding. If you are considering this treatment, be sure to contact your insurance company to make sure it is covered under your plan. Many insurance plans will not cover composite bonding because it is considered a cosmetic procedure. However, you can ask if they will at least cover a portion – especially if it’s part of a medically necessary procedure. Unless you are applying composite resins to multiple teeth, you can expect to have this treatment completed in one short office visit. The first step is to choose the best shade of composite resin relative to the color of your existing teeth. After the dental material has been selected, your dentist will numb the area so that they can begin the procedure. 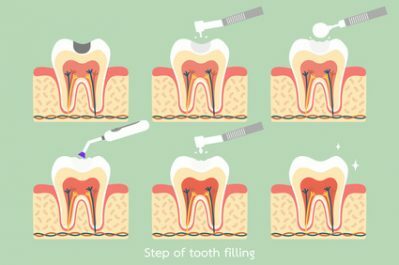 Next, your dentist will need to remove some of your tooth’s surface enamel. This will allow your dentist to better mold the composite resin to your tooth. Next, a bonding agent is applied to the tooth, followed by the application of the composite resin. Your dentist will then sculpt the material to match your desired tooth shape and then cure it with a special light. The cosmetic bonding process does require a high level of experience to achieve the correct mold and shape so it’s best to contact a Shelby Twp. dentist that has vast experience in the area of dental bonding. 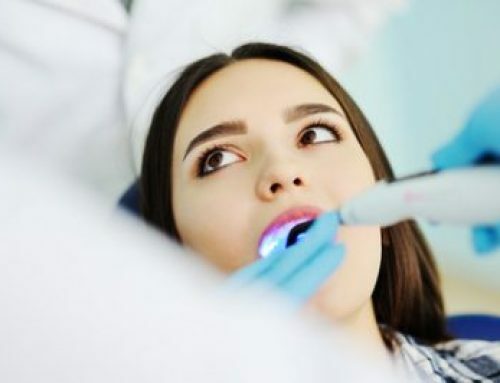 As long as you practice good oral hygiene habits, receive routine cleanings and exams, your composite bonding will not require any additional upkeep or office visits. Looking for a Shelby Twp. Dentist Experienced in Composite Resins and Composite Bonding? If you are looking for a dental office in the Shelby Twp. area, HPS Advanced Dental Care provides a full range of cosmetic dental services as well as family dental services.